Use controls or your mouse to navigate through the 360 photo. 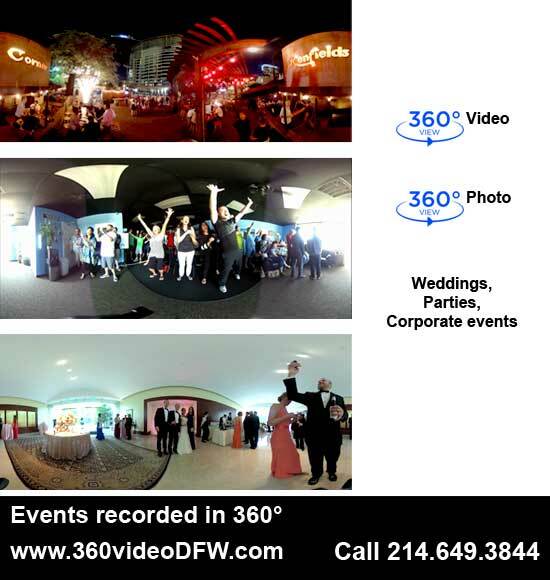 Our 360° Video Recording Service is a stunning and captivating way to allow viewers to see all of your event/content in 360 degrees! It's as if the viewer is actually there and reliving the moment. 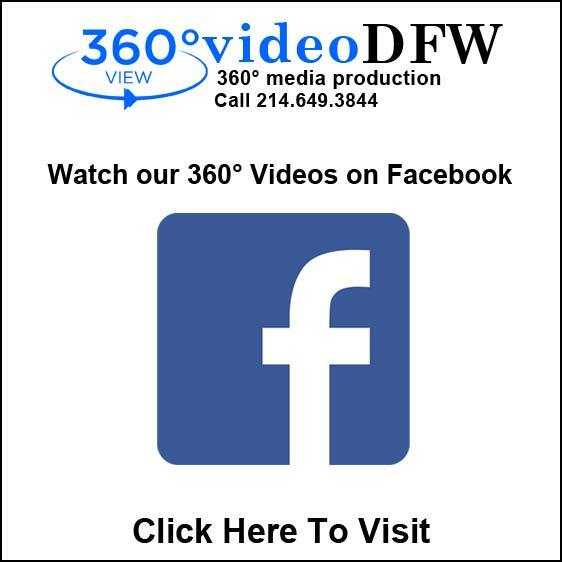 We are excited to offer an affordable 360° Video Recording Option that is guaranteed to give you or your audience an exciting and cost effective 360° experience. 360 degree video (also known as 360 video, spherical video, Immersive video) is an immersive media technology that records a real-world panorama, where the view in every direction is recorded at the same time. During playback the viewer has control of the viewing direction, by using a computer mouse or tilting/moving a mobile device (phone or tablet). 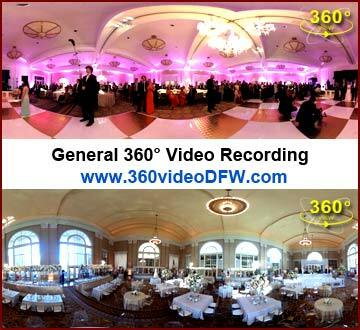 NEED 360° VIDEO RECORDING SERVICE? 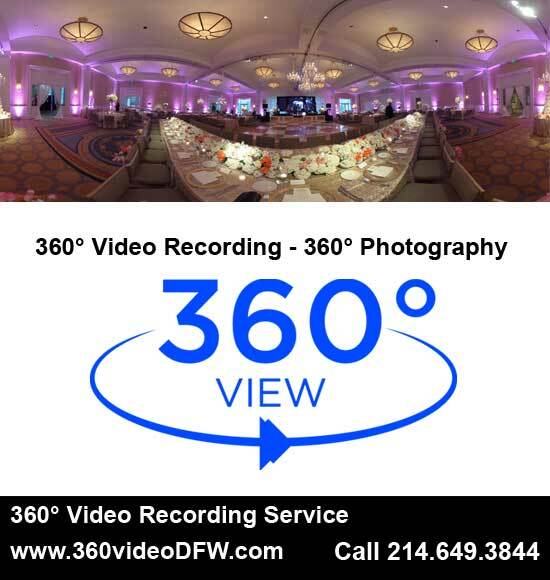 Use the booking options to reserve 360° Video Recording Service for weddings, parties, quinceaneras, corporate events, real estate 360 tours, Social Media 360° Video Marketing and other projects in the DFW area. DON'T WAIT ANOTHER MINUTE! 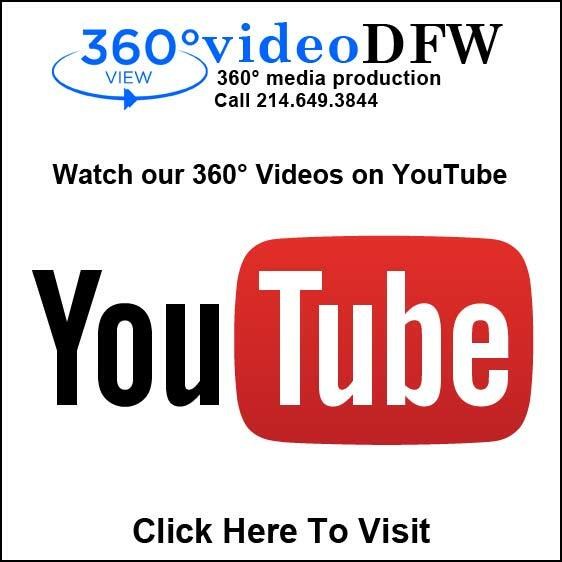 OUR AFFORDABLE 360° VIDEO RECORDING SERVICE IS AVAILABLE RIGHT NOW! 360° Video currently supported by several meda platforms. Facebook and YouTube are most popular at this time. 360° videos are created with a special camera system that simultaneously records all 360 degrees of a scene. Viewers can pan and rotate a 360 video's perspective to watch the scene from every angle. You can watch 360° videos on your smartphone, tablet, computer or on Oculus Go, Oculus Rift or similar VR Viewers/devices. 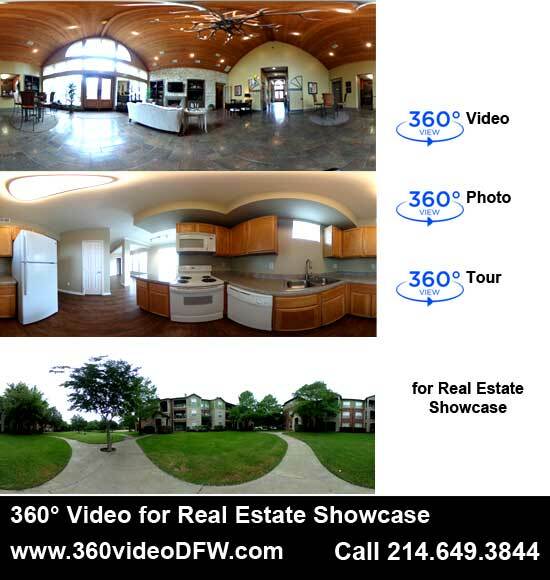 360° videos are viewable on a computer, Apple iOS devices and Android devices. In order to view YouTube 360° video on mobile device the latest version of YouTube App is required. 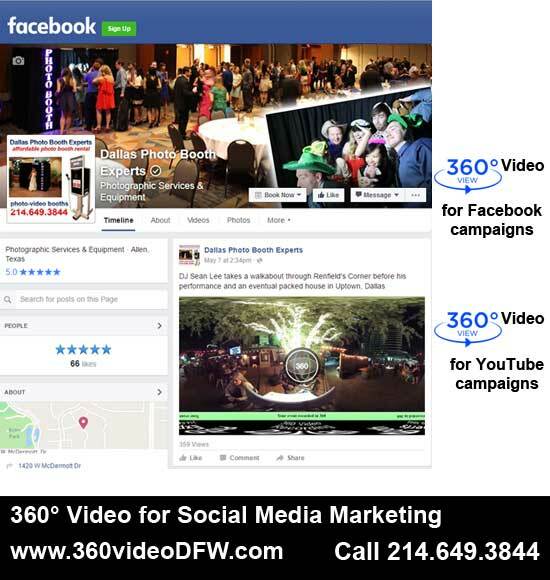 In order to view Facebook 360° video on mobile device the latest version of Facebook App is required. 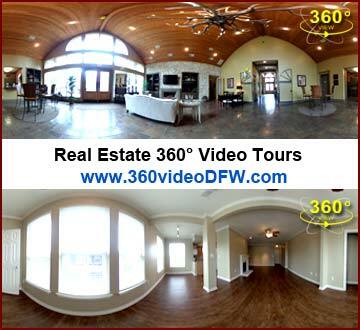 WE MUST HAVE YOUR PERMISION TO PLACE THE 360° VIDEO/PHOTO EQUIPMENT IN SPECIFIC LOCATIONS. We are located in Allen, TX. 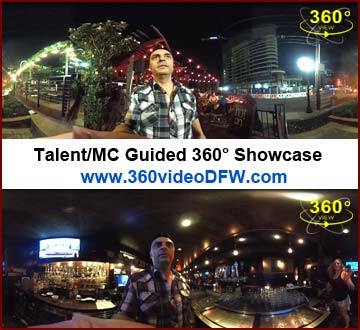 360 Video DFW provides 360° Video Recording Service/360° Media Production in the Dallas/Fort Worth Metroplex and all surrounding communities. Photo Booth Rental for Dallas, Fort Worth, Arlington, Plano, Garland, Irving, Grand Prairie, McKinney, Mesquite, Frisco, Carrollton, Denton, Richardson, Lewisville, Addison, Allen, Azle, Balch Springs, Bedford, Benbrook, Burleson, Cedar Hill, Cleburne, Colleyville, Coppell, Corinth, Crowley, DeSoto, Duncanville, Ennis, Euless, Farmers Branch, Flower Mound, Forest Hill, Forney, Glenn Heights, Grapevine, Greenville, Haltom City, Highland Village, Hurst, Lewisville, Keller, Lancaster, Little Elm, Mansfield, Midlothian, Mineral Wells, Murphy, North Richland Hills, Prosper, Rockwall, Rowlett, Saginaw, Sachse, Seagoville, Southlake, Terrell, The Colony, University Park, Watauga, Waxahachie, Weatherford, White Settlement, Wylie and other cities.